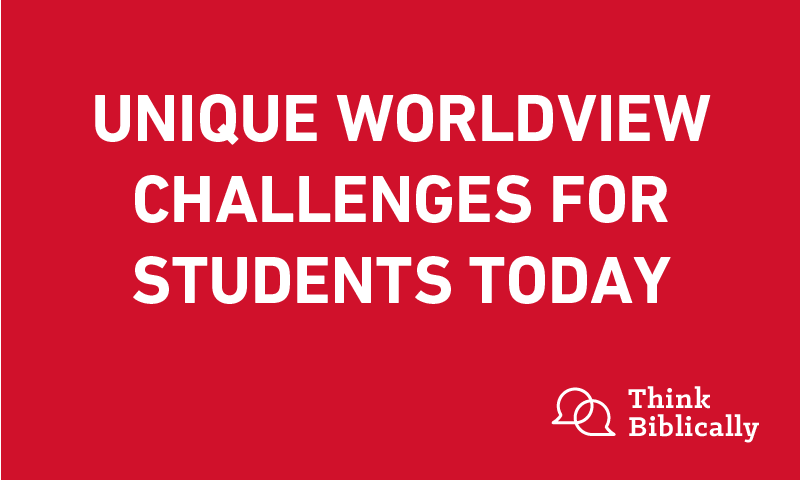 What worldviews are competing for the hearts and minds of today’s students? What is unique about this generation? 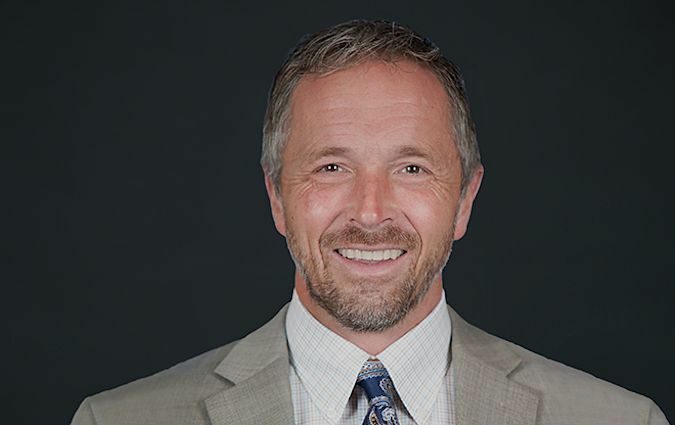 Sean interviews Dr. Jeff Myers, president of Summit Ministries, about how the church can best understand and reach Generation Z.
Dr. Jeff Myers is president of Summit Ministries, a highly respected worldview training program whose tens of thousands of graduates are making a difference in politics, law, academics, medicine, science, and business. In the last twenty years, Dr. Myers has become one of America's most respected authorities on youth leadership development. Sean McDowell: Welcome to the podcast Think Biblically: Conversations on Faith and Culture. I'm your host, Sean McDowell, Professor of Apologetics at Talbot School of Theology, Biola University. Today, we have a guest who's been a friend of mine for a long and time, and really a mentor of mine as well. He works with an organization called Summit Ministries, which when people ask me, one of the most important things to send their students to those 16 to 25. I say, they've got to experience Summit. Talking about Summit, you might recognize right away that the president is Jeff Myers, and he's also the author of a number of books including The Secret Battle of Ideas about God, as well as Understanding the Times, and a number of other books as well. Dr. Jeff Myers, thanks for joining us. Jeff Myers: Hey Sean, it's great to be with you. Jeff Myers: That's a long time ago. Sean McDowell: That is a little while ago, and I still remember some of the stories that you shared, and I've heard a lot speakers in my life. You have committed your life to training young people how to think Christianly, which is our heartbeat at Biola, how to build a biblical worldview to which began by saying, "What practically speaking is a worldview?" and maybe a helpful illustration that you use with students or parents where they say, "Ah, I got it." Jeff Myers: Yeah. Sean, if I could just take one minute and tell a little of my own story, I think it would give some context for it. When I was getting ready to graduate from high school, I didn't see that I would continue in the church. In fact, I thought I would graduate from high school and church at the same time. My parents were alarmed, and they arranged for me to come to the Summit course in Manitou Springs, Colorado, which is this little hippie town that you spend a lot of time in at Youth Summer speaking at Summit right at the foot at Pikes Peak. I walked in the door and then David Noebel, the founder of the program was there. I said to him, "I hope you have a lot of answers because I have a lot of questions," which I know now is really rude, but at the time I was desperate because I wanted to know that there was something to Christianity that should compel me to be faithful even after what I consider to be a childish Sunday school kind of thing, season of my life was over. So for me, Summit began to answer that question and David Noebel right away said to me, "We're not afraid of any questions here at Summit." That was his answer to me. I was so grateful for that because at Summit, students learn how to develop an understanding of the times in which they live by looking at patterns of ideas. I would say that's probably the best definition of a worldview. It's a pattern of ideas that helps make sense of God, and of the world, and our relationship to God and the world. If you think about it, everybody in the world knows there's something wrong with the world. What the world actually is, what it consists of, what they say is wrong and what the solution is, is really different. Our point at Summit is that a biblical worldview is something we need to understand, not just so that we can say that we are superior, but because it reveals reality in the way that other worldviews do not. It's what's really real. It's the capital T in Truth. That's what the heart of a worldview. It's a pattern of ideas. People who understand patterns in different fields are more successful. If you play tennis and you can see where the serve might be coming, you're more likely to be able to return it. If you are a soldier and you know the enemy's tactics, you're more likely to be able to respond to them and limit the enemy's damage and ultimately defeat them. Sean McDowell: Thanks for sharing your story. That's so helpful. The definition of a worldview is kind of a set of ideas we have about the world. I guess my next question is, is Christianity a worldview, and if so, some of the criticism I hear is that it just reduces it to a set of ideas, and not a relationship, or not a heart issue. So, how did those kind of ideas intersect when we talk about the worldview of Christianity? Jeff Myers: Sean, I think the answer to that comes together in a passage from the Apostle Paul to the people of Rome in the Book of Romans in the Bible. The Apostle Paul in chapter 12 says, "Do not be conformed to the pattern of this world, instead be transformed by the renewing of your mind that you may understand what God's will is." Now, that's a paraphrase of it, but it's an accurate one, and that is I think the answer to the question that we need to see that the world it tends to mold us into its patterns, the way it sees things. Part of being a Christian is learning to transcend that, to be transformed by the renewing of our minds through Christ, so that we can see what God really wants for us and what he really wants in the world. I would say Christianity is a worldview. It is a worldview that opens up all of reality, but it's not a worldview that's either purely emotional or purely intellectual. Those are distinctions that come from enlightenment thinking, a biblical worldview as a whole person, a whole life view. Sean McDowell: Talk about the way you teach worldview at Summit in the sense that I've heard you use this illustration of kind of the two strands of DNA. I wonder if you could break down what you mean by those two strands and how that would have application even outside of Summit, to parenting, to pastoring, to just passing on the faith to the next generation? Jeff Myers: Thank you Sean. You and your colleagues at Biola and at the Talbot School all know that it's not just what you teach, it's how you teach it. The students pick up whether this is really important by how you model its application. So at Summit, we have our staff. Everybody who comes in here, and this is quite a large team. We have 89 instructors, more than 200 seasonal workers who are mentors coming in to work with our students, 50 full time staffs, it's quite a team. Every one of them can draw this out for you. We tell them, the DNA of influence is too strands. It's like a DNA double helix, two strands. The first strand is truth, and the second strand is relationship. Those two strands have to intertwine together. If you can picture in your mind, you realize when those two strands go together, there are nucleotides connecting them and they make it look like a twisty ladder. So we tell our staff members, whatever you do in the course of the day, we want you to be able to end the day and say, "I put a rung in the ladder between truth and relationship for somebody." You have to do both. Truth without relationship leads to arrogance. We don't like being around people who think they know it all. At the same time, relationship without truth leads to apathy. People began to think it doesn't really matter what we believe, as long as we're just all feeling good and connected with each other. In order to really have a full Christian worldview, I believe you take those two things and tie them together. So at Summit, it's not just about what happens in the classroom. In fact, if there's any secret sauce to Summit, it's that students who come here are treated with a great deal of respect, their questions are taken seriously, and I know Sean one of your favorite things to do when you come to speak at Summit is to sit on the front porch of the hotel, and students can sit down there and ask whatever questions they want. It's not even so much that they're getting all of the answers to the questions, it's just they feel comfortable, they feel safe asking those questions, and they know that nobody here is afraid of the questions. That ministers to students maybe as much as the particular points they're hearing in lectures. Sean McDowell: The fact that Summit is at a hotel where it just fosters conversation, and interaction, and relationship yet is very intentionally truth-focused, I think it's just such a wonderful model for today. Let's take the strand of DNA so to speak, the truth side for a minute. What would you say are the main worldviews in our culture that are competing for the hearts and minds of everybody but maybe in particular of generation Z, those say in college and below. Jeff Myers: Sean, I think there are six dominant worldviews today. I know people had different ideas of how these play out, but I will explain how I think of it and how I have found it to be really helpful, especially preparing students to go to college and keep their Christian worldview strong. Obviously, the Christian worldview is influential but a lot of people don't really grasp the full depth of it. They don't quite see how. It was based on what the Bible says about God and about Jesus that people were able to get slavery abolished, and established higher education, and hospitals, and women's rights, and children's rights, and all of the democratic institutions, all the things that we think are good in society today. There are five, what I think of as counterfeit worldviews. In other words, it's not that they're all lies. They point out some things that are true, but they do it in a way that shortcuts the path to understanding what's really real. So for example, secularism. The secular worldview says that only the material world exists, that the spiritual world is an illusion. The Marxist worldview is another one out there. Marxist worldview is also materialist, only the material world exists and all the problems in the world today are because the rich have taken more than their fair share. Our postmodern worldview has emerged in the last few decades as significant. The postmodern worldview says that material world is all there is and all of the problems in the world just come about because people claim to know the truth. So, if we just stop claiming that we know what's true, then everything will be better. Then, we also at Summit talk about the new spiritualist worldview, what some people think of as new age. It says, "Only the spiritual world exists," and then the Islamic worldview, which says, "God exists, but he doesn't make himself known except through his laws." You don't really have a personal relationship with God, you just get to know what it is that he wants you to do. Obey his law and then he will accept you. Sean McDowell: We could spend some time looking at each one of these worldviews, and I know you did that at Summit but let me focus on one. I was born in the late '70s, grew up in the '80s, towards the end of the Red Scare and Marxism. The thought was in the '90s that Marxism and communism is dead, yet there's a lot of people saying it's not and we're seeing it creep up, but maybe in different ways than in the past. So, I don't so much mean internationally like say North Korea or China, but do we still see Marxist thought on universities, in the media being pushed in the culture today? Is that something we should be aware of and concern about? Jeff Myers: It is Sean. It is of concern, but we shouldn't be looking for armies creeping over borders, or the deceptive videos with menacing music. We should be looking instead to how ideas are communicated. The battle today is a battle of ideas, and there have been political candidates who say things like, "The rich have taken more than their fair share, and we need to take it back." That is a fundamentally Marxist idea. Now, it is true that there are rich people out there who make their living, they become wealthy by oppressing others, but the Marxist idea ultimately is that only the material world exists. There's only so much to go around, and so if somebody has more than somebody else, it's because they've stolen it. If you stop believing that only the material world exists, in other words if you believe that there is an immaterial world that includes ideas, and innovation, and inspiration, then you realize that while there is oppression that takes place in the world, we as Christians need to be addressing that to take the Marxist approach to that oppression is trying to solve the problem with half of reality tied behind its back. It's simply isn't true that only the material world exists, that the only real wealth is what we can dig up out of the ground. The real wealth is in our minds and in free societies where people are free to bear God's image, and to be innovative, and to discover their passions, and to live it out in a way that will help them earn a means of provision for their family. Those kinds of societies thrive and everybody does better. Sean McDowell: Our theme at Biola is think biblically about everything. The ideas that people come and study sociology, or history, or geography, you name it, they would learn to think Christianly in particular about that topic and that discipline. I know that's the same vision at Summit. We love to share stories at Biola about how people go out and apply the actual worldview that they've learned in their discipline, whether it's in coaching, or nursing, or business, or missions. Maybe share a story or two that comes to your mind of somebody who got what worldview is being at Summit, and went out and made a difference. I think it'd be encouraging to our listeners to hear practically how some people put to use Christian biblical worldview thinking. Jeff Myers: We could spend hours telling these stories. I'll just share with you one that I've been really compelled by recently of a student named Brian. He came to Summit and he was, by his own admission, he was a rabble-rouser. He was a rascal. He was the kind of student that was hard on his counselors, but he came to Summit and he thought, "I think I'm interested in law. Should I go to law school? If I should go to law school, which law school would be the best?" One of the instructors here told him, "Go to the University of Notre Dame." So, he worked hard in his undergraduate, got to the University of Notre Dame to law school, and then had to make a decision about what to do with his life. He thought, "You know, a biblical worldview of law, is one that upholds, that fights for justice that promotes the good and punishes the evil." So, he went to work for the Department of Justice, and it's a fascinating story that really kind of comes into play about 2009. You've been to Mexico and you know that cities like Juárez in the early 2000s were the most dangerous places in the world. In fact, one newspaper report in 2009 said, "Juárez was more dangerous than Baghdad or Kandahar as a city to live in." It was because of drug wars, and these drug wars were largely being fomented by a drug enforcer who killed everybody, mayors, police chiefs, anybody who stood against him, and he went by the nickname El Farmero, or The Reaper, or The Farmer. Personally, he had killed or put out contracts that resulted in the deaths of people of 1,600 people. Can you imagine a guy? Jeff Myers: One person who killed 1,600 people. Finally, he was captured and brought across the border. Well, he has to go on trial for his crimes, but who's going to try him? This guy has a gang of 5,000 people Sean, all over the world, and everybody who stands up against him gets killed. Well, Brian, decided to be the one. So, he was the prosecutor. He bravely carried out the entire case and the man was thrown into prison. Within two years, I saw another article after that, that said, "Once the most dangerous city in the world, Juárez returns to life." Now, think about that for a minute. One man who had a biblical worldview of law who said it is wrong that these people are oppressing others and destroying so many lives, and I will personally take the risks and stand up against them. Now, that's an example of the kind of difference I believe a Christian can make, and we have had hundreds of students go into law, and hundreds go into academics, and hundreds into medicine, and hundreds into politics, and hundreds into science, and hundreds into business. We are seeing major, major shifts taking place in this country because of Summit graduates. Just like the kids I have at my house, the people who are listening to this program right now, they're everyday young people who could be world changers. Sean McDowell: I love that story. That's so encouraging because that's exactly what we're about here at Biola. Let me shift and ask you this. You talked about the DNA strand truth, but also relationships. You've written some books on this. You've done some mentoring series, and I'd have the privilege of being a part. Would you maybe give us two or three principles you found helpful just connecting with the heart of a young person? Jeff Myers: Well, I can give you three things, and Sean this comes out of a guy who's a friend of ours, Steve Garber. He teaches at the Summit, wrote a book called Fabric of Faithfulness, but he wrote something that I can't get away from that's three points. He said, "70% of young people are walking away from the church. By the time they're in their 20s, they're no longer even attending," but he said, "30% stay." What differentiates the 30%? I thought it's an excellent question, and he found that young adults stay involved in church, they stay as part of the church community, they grow in their faith when the people who were in the church do three things. Number one, they tell them the truth. Tell them the truth. They don't just say, "Hey, look. It's all going to work out fine," or "You just have to believe it by faith. You don't have to have reasons for it." They don't mask it. They say, "If you go out and communicate about this, it's going to be difficult, but here's how you can do it. Here's how you can talk about a Christian worldview in a way that makes sense to people in the world." That's the first thing. They tell them the truth. Second, they mentor them personally. A mutual friend of ours who runs The Barna Research Group has found that young adults who have an adult friend in church are twice as likely to stay involved. Young adults who have a mentor in church are 2-1/2 to three times is likely to stay involved. Why? Because those people care personally. It's not just something that happens when there's one person speaking and everybody else is sitting in the pew. It's what happens when they're together over coffee. What should I do with my life? Where should I go to get an education? How did you become successful? What are the lessons you have learned in life, and connecting over those kinds of things as mentors? They tell them the truth, then mentor them personally. Third, they create a vibrant community. If Christianity really describes what is really real, if it is the key that opens up reality, shouldn't it be the case that a church should be a vibrant community of the people who are making the very greatest possible difference in their community? It should be people who are in every single area of life, in the trades, as well as in the sciences, and in academia, and in business, and every other area, the people who are doing the best possible work in that community should be able to be traced back to one thing, that they orient their lives around the truth of Jesus Christ, and they do it in a personal way that creates the kind of community that people just can't stay away from. Sean McDowell: You spent a lot of time with students and so do I. I'm curious, what are the biggest questions or most common questions you find that people are asking? Is there a difference between the questions that Christian kids ask and non-Christian kids ask? What are the big questions you find yourself being asked somewhat frequently from young people today? Jeff Myers: I don't see any difference between the questions that Christians ask and non-Christians, nor do I see a real difference between the kinds of questions that young adults ask as opposed to older adults. It seems to me, or even in Americans versus people elsewhere in the world, it seems to me and obviously this sounds like an oversimplification, but just think about this for a minute. There are five big questions that everybody is asking, everybody. Am I loved? Is there anybody who loves me for who I am and not just what I can do for them? Second question is, why do I hurt? There is pain in the world. Things aren't going the way I'd hoped that they would, how do I make sense of that? A third question, what is my purpose? We've actually had students here and it's heartbreaking, but it's an honor at the same time to be able to walk alongside of them. We've had students here who asked, "If I were to disappear, would anybody even care?" They know that humanity is important somehow, but they don't see how their lives personally really matter. Then, the fourth question is why can't we get along? I mean, we can't get along with our family. We can't get along with other countries. The whole world is a place of conflict. Why are all of our relationships broken? Then the fifth question people are asking is, where is their hope? Is there any hope for me personally? Is there any hope for the world? At Summit, we bring those questions right to the surface. Now I could tell you, you can hear a pin drop as you ask those questions because every single person isn't just thinking of them as an abstraction, they're remembering the times of pain, the times where they wondered whether their life really mattered. The times where they thought, "I'm being used, that people only love me because of what they can get out of me." When you can say, "Now, let's take a look at what these other worldviews have to offer you and answer to these questions," then they see in stark relief, why these counterfeit worldviews are ultimately worthless. I mean, you have guys like Richard Dawkins who's really good at scoring debating points when he goes to university campuses, but when he was asked what is the purpose of life, he wrote in his book The Blind Watchmaker, "DNA neither knows nor cares, DNA just is and will dance to its music." I haven't found a single person who finds that answer satisfying, but Jesus on the other hand ... We have a Jesus-focused worldview. Jesus answers all of those questions. Jesus redefined love, didn't he? I mean in the culture of his day, people would talk about eros, or sexual love, or they would talk about philos, or brotherly love, or family love. Jesus talked about agape, unconditional love. The kind of love that loves regardless of your lovability. That's the kind of love that Jesus offers, and the kind of love that he enables us through the power of his Holy Spirit to give to other people. So, a Christian worldview is not just a set of intellectual proposition visit. I mean, it really gets right down to the heart of our greatest needs, our greatest longings, our greatest hopes, and our deepest disappointments. Sean McDowell: Jeff, I love that and you answered that question. You gave worldview issues related to it. That we need to understand truth, want to understand what worldview explains the world, but also deep relational questions at the heart of it, and how we address young people whether parents, pastors, teachers, mentors, speakers, incorporating the two of those, the two strands of DNAs. You put it, truth and relationships is really the biblical formula, but it's the one that's speaks most powerfully and relevantly to this generation. Jeff Myers, thanks for coming on. I'm a huge fan of you personally, consider you a friend, and a mentor. I just want to encourage our listeners to check out Summit Ministries. It's at summit.org, and you and I sat down about five years ago and said, "How do we get this at Biola University?" So we now this summer, are hosting two sessions because Biola and Summit are like two strands of DNA, very similar vision and passion for this generation. So, I hope our listeners will check out summit.org. Your books, you have a bunch but Understanding the Times and also The Secret Battle of Ideas about God. Jeff, thanks so much for coming on. Jeff Myers: You bet, Sean. It's a pleasure to be with you on this program, sure admire you and your team there, and looking forward to having opportunities to connect with all the listeners at summit.org. We'd love to have more and more students attend this program and learn how to become the kind of leaders who can really make a difference in the world for Jesus. Sean McDowell: We'll have you again on soon. Thanks for fighting the good fight. Remember, this has been an episode of the podcast Think Biblically: Conversations on Faith and Culture. To learn more about us and today's guest, Dr. Jeff Myers, and find more episodes, go to biola.edu/thinkbiblically. That's biola.edu/thinkbiblically. If you enjoyed today's conversation, give us a rating on your podcast app and share it with a friend. Thanks for listening and remember, think biblically about everything.